Years ago, if you told me that gluten would be the easiest item to eliminate from my diet, I would never have believed you. I also would never had believed that the plethora of symptoms of gluten-intolerance would be FAR preferable to the side affects of eating a white potato, pepper, tomato or eggplant. For me, it turns out that gluten is the irritating baby sister of the family of foods that affect my system. Nightshades are the wicked step-mother that banishes its victims to a life of servitude in the tower. Many people who suffer with gluten-intolerance, particularly Celiac, the disease of gluten intolerance, also suffer from nightshade allergy. If you suffer from migraines, joint aches and pains, fatigue and bone spurs, please give this article from Great Life Global a read. Finding this allergy changed my life. I’m not happy about never having another salsa drenched taco again, but ultimately it’s a small price to pay to live with less pain. Nightshades. The name is quite mysterious and even sounds a bit spooky and ominous. There are so many warnings about the foods called “Nightshades,” that I am tempted to comically entitle this: “The Attack of the Deadly Nightshades.” In order to solve the mystery of these popular plants, I have gathered data from noted scientists, horticulturists, medical researchers, and macrobiotic sources to share with you. Let’s look at the facts and fables about Nightshade plants, their characteristics, history, effects, and their enduring appeal to the world’s appetite. Tomatoes, white potatoes, red and green bell peppers, the “hot” peppers such as chili and paprika, as well as eggplant belong to the Nightshade Family, a botanical genus called Solanaceae species. This species also includes tobacco, poisonous belladonna, and the toxic plants herbane, mandrake, and jimson weeds. According to Nutritional Researcher, author, and Cornell University instructor, Norman F. Childers, in his scholarly and highly documented, The Nightshades and Health, the origin of the word “Nightshade” is not clear. He explains that old English writings described these plants as Nightshades because of their “evil and loving” nature of the night. A translation of this description could mean that these plants are believed to be more active at night than in daylight. Nightshades have a history of both mystical danger and scientific caution. They were used in shamanism, witchcraft, and even poisonous murder. Some nightshade plants are ingredients in potent narcotic medicine and sleeping pills. It is reported that nightshades contain high levels of alkaloids which cause the bones to excrete calcium, other minerals, and trace elements from the body. Many enlightened doctors and nutritionists recommend that those suffering from arthritis symptoms eliminate Nightshades from their diet. For this introductory study, let us focus on the popular tomato and potato that are, according to surveys, the two most favorite “vegetables” in America. 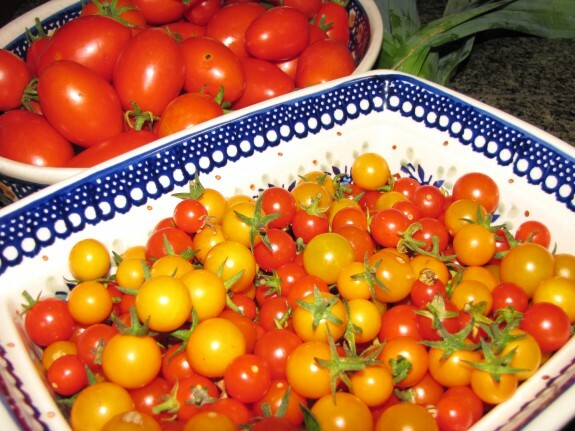 Spanish Conquistadors, while invading South America, discovered the fruit, tomatoes. When first introduced to Europe, tomatoes were thought to be deadly poison. Sixteenth Century herbalist, Gerard, wrote,” In Spain and hot regions, they used to eat the ‘Apples of Love’ prepared and boiled with pepper, salt, and oil; but they yield very little nourishment to the body and the same naught and corrupt.” In past times tomatoes were referred to as “The Cancer Apple” and were grown only as an ornamental plant. Their vines and suckers are known to be poisonous to livestock. For those with weak kidneys and food allergies, tomatoes contribute to pain in the bones and joints, lack of energy, and rheumatoid arthritis. Yet, tomatoes became vastly popular throughout southern Europe, especially in Spain, Italy and now America. where they are among the most popular vegetables. Today, tomato ketchup and salsa are commonly used as well-loved condiments and are even considered “a vegetable serving” by the U.S. Department of Agriculture. When white potatoes, named, “Earth’s Apples” made their journey from Peru to Europe, these nightshades were also thought to be poisonous. Yet, this popular tuber has become a staple throughout Europe and the United States. It is difficult to think of a standard American meal without listing potatoes; baked, fried, chipped, whipped, or as a thickener. White potatoes contain solanine, which has been shown to cause a very toxic effect in susceptible people, contributing to arthritis, calcium depletion, and stiff joints, as well as painful wrists, ankles, and knees. In his book, Poisonous Plants of the United States and Canada, John Kingsbury documented that when solanine was eaten in large amounts by either humans and livestock, death was the outcome. When calcium is depleted from the body by potatoes, nervousness and sleeplessness may result because calcium is our natural tranquilizer. Solanine from potatoes accumulates in the body and the harmful effects may take years to appear in those who have sensitivity. This is one of the most frequently asked questions I hear from my students. This query certainly doesn’t surprise me. According to macrobiotic theory, tomatoes and potatoes create a natural balance to meat, dairy, fats, and the excess salt found in the Standard American Diet, (SAD). The chemical and energetic qualities of potatoes and tomatoes produce extreme, expansive effects and expand and can weaken the bones, joints, teeth, gums, and all body organs, especially for those who are sensitive and allergic to them. In a study published in the Journal of the International Academy of Preventive Medicine, 5000 arthritis sufferers eliminated Nightshades. Seventy percent of participants reported relief from aches, pains, and disfigurement. Americans of all ages love and eat these foods. French Fries with ketchup is one of our country’s favorite foods. There is a reason why people crave them. Potatoes and tomatoes are very high in potassium and help counter the high sodium of animal foods. Nightshades may aid in the digestion of fatty, dense proteins. Consider America’s favorite meals: Meat and potatoes, and pizza with cheese and tomatoes. These foods seem to go together naturally. We crave these combinations of foods because our bodies unconsciously strive to achieve balance. Extreme foods have extreme effects. In macrobiotic terminology, potatoes and tomatoes are extremely yin and expansive. Animal protein is heavy, salty, and yang therefore potatoes help balance the salt and protein of meat. Tomatoes, which are astringent and acidic, assist in the digestion and discharge of dairy products and help counterbalance the greasy quality of the fatty over salted cheese. Please remember, those who eat in this manner on the extreme ends of the food spectrum must realize that the results can be serious and damaging in the long run. Cheeseburger, French fried potatoes, soda, and ice cream. Steak, baked potato, coffee, and cheesecake. Pizza with cheese, tomatoes, soda, and chocolate candy. Chicken, macaroni and cheese, tomato salad, and sugared gelatin. In each of the above, there is a dish containing a high protein animal food, served with nightshades and sugar. This is a lethal combination which depletes calcium and other minerals from the bones and body. The chemical and energetic qualities of potatoes and tomatoes produce extreme, expansive effects. For those who are sensitive and allergic to nightshades, they can weaken the bones, joints, teeth, and all body organs. Let us consider that over 50 million Americans have arthritis and over 60% of women over age 65 have osteoporosis. Add to this statistic the epidemic quantity of Americans with back pain, knee and foot disorders, and tooth decay, which are all due, in large part, to mineral depletion. How Do Macrobiotic Foods Help Prevent Bone Disease? Foods which deplete minerals are eliminated in the macrobiotic diet, allowing the body to stay stronger and healthier and helps prevent bone weakness. The macrobiotic diet contains whole foods which are extremely high in natural minerals. These include such as grains, beans, vegetables and sea vegetables, sea salt, and miso; foods which strengthen, maintain, and even rebuild bones. Recent theories now have begun to view arthritis as a deficiency and/or depletion of calcium in the body; a theory more in line with the macrobiotic perspective. How Do I Know If I Am Allergic to Nightshades? If you are healing from ANY disease or are in pain, especially in the bones and joints, such as wrists, hips, and knees, or back, teeth, or gums avoid Nightshades. If you wish to have the strongest body possible, then reduce, avoid, or eliminate Nightshades. It is my experience that most clients who totally avoid Nightshades for at least four months notice dramatic improvements. Neal Barnard, M.D., Eat Right, Live Longer, Random House, New York, New York. Dr. Norman Childers, The Nightshades and Health, Horticultural Publication, New Jersey. Dr. Norman Childers, “A Relationship of Arthritis to the Solanaceae (Nightshades)”, Journal of the International Academy of Preventive Medicine, November, 1982, pp. 31-37. Winifred Conkling, Natural Medicine for Arthritis, Dell Publishing, New York, NY. John M. Kingsbury, Poisonous Plants of the United States and Canada, Prentice-Hall, Inc. New Jersey. 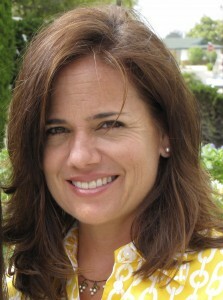 Sherry Rogers, M.D., Wellness Against All Odds, Prestige Publishing, Syracuse, NY. J. Salmeron et al, “Glycemic Load and Risk on Non-Insulin Dependent Diabetes Mellitus in Women”, Journal of the American Medical Association, 277 (6): 472-477, 1997. Good to know I am not alone. Sometimes I wonder if I am “imagining” the intolerance- or think maybe I am “over-it”. Then I eat some salsa, feel bad, wait six months and repeat. To those trying nightshade free I will tell you even a tiny bit- like using store bought chicken broth will give a reaction. You need to be strict to test this. For a long time, I felt like the kid who goes away to college, drinks too much, wakes up with a hangover and promises I’ll never do it again. Then six months later, I see something I can’t resist. Giving up the foods is so difficult, like you said, far harder than dairy and gluten. Losing the convenience is also really, really hard. When calcium deposits started showing up in the body – on my rotator cuff tendon, my big toe joint and my neck, I am now totally compelled to stop eating any and all nightshades. I only found this allergy a year ago, so I have a life time of calcium depletion to deal with and the pain of that will probably never abate. I gotta think that the silver lining is that I eat almost no processed foods, cook from scratch (a pain at times, but again, far healthier) and eat closer to the earth. My goal for 2013 is to develop really tasty pestos and pulses, sauces and condiments utilizing flavors like wasabi, tumeric, cumin, garlic and lemon to name a few, because I find what I really miss is the amazing flavor of peppers and tomatoes. I’ll keep you posted and if you come up with anything – please share. In the meantime, hang in there. P.S. And be wary of some organic coffees – I found tobacco leaves present in the last coffee I drank…slowly poisoned myself over the course of several months. Really…coffee???? Knowing other people are also so sensitive to nightshades helps me feel like I am not just a hypochondriac and gives me the strength to stop “testing” every 6 months. PS, my diagnosis with joint pain was Lyme disease. Other treatments helped the recovery but giving up nightshades was the key. Just wondering if you or any the the people you are in contact with have tested positive to being allergic to the nightshades? I’ve done this little dance for the majority of my adult life. My body screams at me that I’m gluten and nightshade intolerant while testing indicates the opposite. Because we are so identified with the foods we love, every time we get a little green light to eat something, we trick ourselves into thinking we really don’t have a problem. It’s human nature and nothing to beat yourself up about. Here’s what I did to move beyond the uncertainty and frustration. First of all, I searched high and low for a really broad minded doctor. When I was in the throes of recipe testing when putting this website together, I tested marinara sauce and Hungarian goulash the same week. My face, hands and joints swelled and I had a headache that would have put down a horse. My doctor took one look at me and asked me about my known food intolerances and what I’d eaten that week. He diagnosed me in seconds with a condition that had plagued me for the whole of my life. My deep love of peppers and tomatoes forced me to ask him if we could test this nightshade theory. How he responded changed my thinking forever. He told me we could run tests that would probably show negative results, but why would I want to? My body was clearly telling me a different story. He said the gold standard is a food elimination diet. Stop eating the offending ingredients and then add them back. Your body will tell you whether or not you can tolerate them. From then on, I stopped giving my authority away to allergy tests and doctors who treat only symptoms. After years in denial, and as much as I hated to admit it, I grew to accept that I simply can’t have these ingredients. I’ve given myself a position of greater authority in my own life. Sharon, I suspect you know the truth about your body, but it’s a loss to think of your life without chili, marinara sauce and salsa. I know it might sound trite, but it’s not. It’s a loss. For me, I developed this weird Pavlovian response to the things that made me sore, swollen, shorten my breath and give me unrelenting headaches. My response to these foods started to limit my life and that’s no longer an option. Mourn the loss and then find food that works for you. Having this condition is an incredible inconvenience, but it will force you to eat more healthfully in that you’ll probably have to prepare your own food and rely less and less on processed, manufactured foods. So my advise? Reclaim your authority and accept what you already know. When I get weak and resentful (as I watch my husband go to town on a Carne Asada burrito drenched in salsa), I remember there are so many people dealing with conditions for which there is no dietary solution and then I get the proper perspective, take a deep breath and work with what I’ve been given. I hope this helps. Stay in touch and let me know how you’re doing! It’s so good to know I am not alone. And yes, me too. Gluten and dairy free. Gluten is nothing compared to my nightshade allergy. I have 3 children and I cannot boil potatoes in the kitchen anymore. First I thought it was psychological. But it is not. The moment they have been boiling a little (I make someone else peel them) I get nasty sharp pains in my legs. I call them dagger knives. Then I get the typical deep achy pain in my legs, and I cannot stand on my legs comfortably. The next day I feel 80 years old. I have to be careful not to really do my back in. Stiff all over. I have contemplated putting a stove on the patio so I can boil potatoes for the kids. Funny enough, making the occasional french fries does not bother me as much. We don’t eat them often, but the kids (two of them w/ celiac) do like to eat them. Anyone out there that cannot boil potatoes either? Amy, I’m on a journey of no soy, eggs, dairy, nightshades, vinegar and yeast. I feel totally defeated and don’t really want to eat. I’m so tired of chicken. I’m not a very big eater of vegetables so that makes this so hard. I have IBS and when I eat these foods the symptoms range from bloating, runny nose and eyes, coughing, extremely tired, severe cramps. I am tired of food and if I didn’t have to eat I wouldn’t. I appreciate all the work you have done on your recipes. I just found your page. If you have any suggestions for me I would really appreciate it. I don’t find huge problems with gluten but at times will struggle with fatigue related to it. I think it is the gluten. Who knows it maybe something else.